Shipment of goods either exporting or Importation to Cape Verde can be done direct from a number of countries either by airfreight or by sea. Those that want to ship in personal goods can arrange this directly with the company abroad and if necessary with a Despachante in Cape Verde. Some people have Import Licences for certain goods i,e building material, others who have an Import Licence for bars either bring in items using the same process or use someone with an Import Licence to bring in different goods (e.g.building materials) on their behalf. However all will say it's not a simple process and the rules, values and more seem to change! COMMENT-1 "You first need to contact a 'Freight Forwarding Company' in the UK that will send airfreight to Cape Verde. For example there are direct flights from the UK to Sal Island and Boavista Island. There are a number of these Freight Forwarding Companies based in the UK so a number of British expats use these companies to send packages and boxes of items they have purchased online or from other suppliers they regularly use to one of these Freight Forwarding companies (FFC). The FFC will weigh, measure and pack your items ready to despatch them to a UK airport that has direct flights leaving for the islands of Sal or Boavista. The FFC may have a 'Holding Company' at one or more UK airports, who will then deal with arrangements for items to be sent on the first available flight. Items may be loaded onto a flight but then unloaded if they exceed the weight limit for freight allowance or some other unknown reason. It may be a last minute decision to remove your items from that flight, so you need to confirm if the goods have been successfully sent or removed before someone heads for the airport. Repeat process for next flight. COMMENT-2 "Once the package has arrived at the airport, you go to the airport Cargo Terminal with some proof of who you are, to request the paperwork for the cargo. You then take those papers with your invoices for the items shipped, to a Despachante, who will process the paper work on your behalf, this could take a few days or weeks so it's best you contact the Despachante regularly to see whether your paperwork has been processed, this may reduce additional storage time and associated storage costs for your items at the airport cargo terminal. Once you've been notified that your paperwork has been processed by the Despachante, you must go to the Despachante office to pay any taxes due on the imported items, together with the Despachante fees, he/she will then give you your paper work which you will then need to take to the Cargo Terminal at the airport, where you then pay the for storage fees based on a fee per kilo". COMMENT-3 "There is a minimum charge for freight to be sent from the UK. Each FFC may have a different minimum limit e.g. a FFC may charge a minimum fee of 50kgs (example figure) for goods to be sent by airfreight to Cape Verde, meaning it would cost you the same to send 25kgs as it would to send 50kgs. The FFC in the UK will require all the invoices for the items you are sending to CV for them to prepare the necessary paperwork for transport and delivery. COMMENT-4 "Rules change. Rules for a repeat delivery at the Customs (ALFANDEGA) may be different each time you use this service. Nothing is easy! COMMENT-5 "It's best you take or send someone to the ALFANDEGA that speaks Portuguese. COMMENT-6 "Its been known for some items to go missing! COMMENT-7 "Sometimes the Police also want to check that, what you have claimed on your paperwork as being the prices for the goods you are receiving, is actually correct (not been undervalued), before they will be released." COMMENT-8 "There are various rules in CV governing lower kilo weight (under 100kgs) which allegedly does not require you to use a Despachante in Cape Verde, but this isn't always the case and no-one can say why! There are different levels of taxes to be paid on certain imported items but I don't have a list of these. You may be required to produce additional documentation at any time by Customs, meaning another trip back and forth to the Despachante or into Santa Maria and/or a few more days delay in extracting goods from Customs". 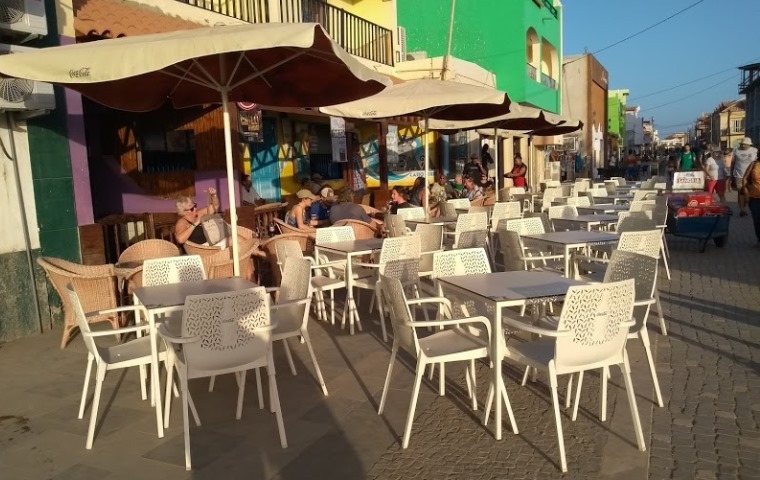 COMMENT-9 "Those in UK wanting to send goods over to Sal or Boavista can either use a Despechante to do the donkey work (at Customs in CV) on their behalf, or someone who has a business on the island who is willing to get your goods out of Customs. However, if there is a problem with your goods not being released, the person (non-Despachante) acting on your behalf may not be able to sort out the problem immediately if they have other work commitments or priorities to deal with for their own business. It takes up their time travelling back and forth to Customs or Despachante and time at those places trying to sort it all out, when they have to run their own business or jobs to do. If there is a delay in extracting your goods from Customs, there will also be a further cost incurred for storage of your items at Customs. Shipping port authority costs to Sal and other islands within Cape Verde can be quite expensive especially if you do not know what you are doing. A number of people who have already shipped commercial items, personal goods and new items discovered that they could have saved a lot of time and effort and more importantly money if the had sought expert advice before hand. There may be one fee for the shipping, but when it hits the port authorties and they look at your items list, the charges for different things will vary, you need to enquire what these charges could be, before you order a container, load it or ship the goods over. Some freight may be shipped to deeper ports at Praia on the island of Santiago or Mindelo on the island of Sao Vicente on large cargo ships, then those ships are off-loaded and cargo re-loaded on smaller boats that travel to shallow docks and ports on other islands. There may be a delay before cargo leaves the other islands, this could result in some additional unexpected storage costs.